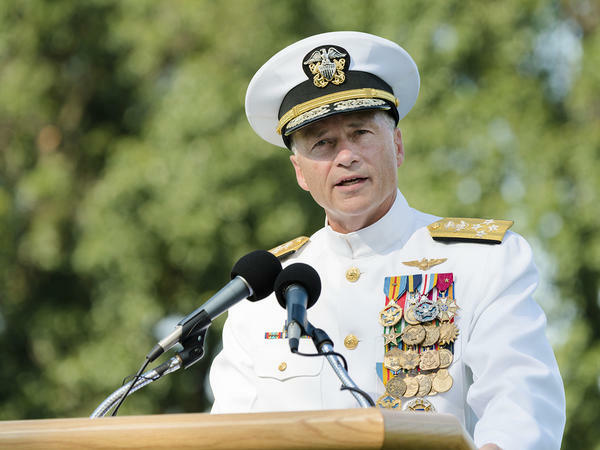 Navy Adm. James ''Sandy'' Winnefeld Jr., who served as vice chairman of the Joint Chiefs of Staff, spoke during a retirement ceremony in honor of his 37 years of military service. It was held at Whipple Field on Joint Base Myer-Henderson Hall, Virginia, on July 31. He was the nation’s second-highest ranking military officer, now former vice chairman of the Joint Chiefs of Staff and Navy Adm. James “Sandy” Winnefeld has a new job in Atlanta as a distinguished professor at the Sam Nunn School of International Affairs at Georgia Tech. Winnefeld joined hosts Rose Scott and Denis O’Hayer on “Closer Look” to talk about ISIS, the worst terrorist threat the U.S. is currently facing, his new position at Georgia Tech and more.